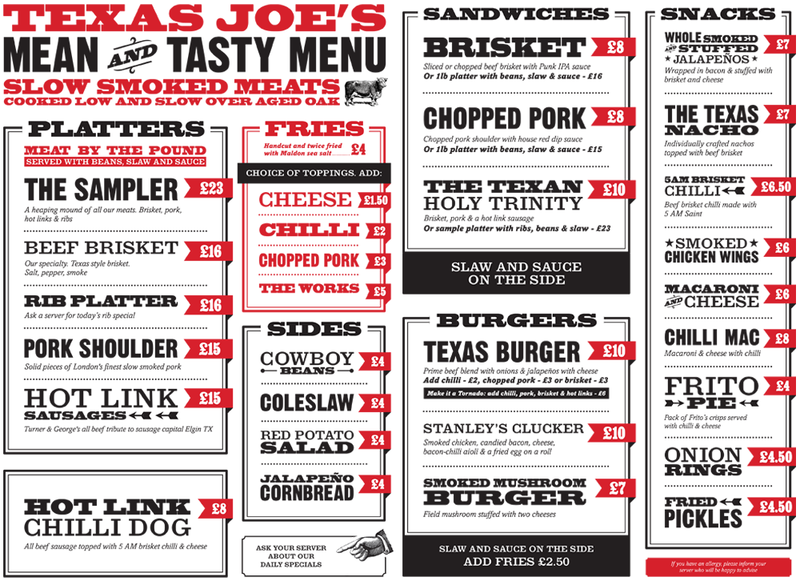 Texas Joe's BBQ has popped up at The Grafton Arms, in Prince of Wales Road NW5, pretty much midway between Kentish Town and Chalk Farm tubes. You might remember Joe from Dragon's Den, but since then he's been at Brewdog in Shoreditch and Shepherd's Bush, and is now bringing his amazing BBQ food - including his signature Brisket - he organised the recent BrisketFest - to The Grafton. Go!